The entire ibis Styles Arles Palais des Congrès team welcomes you between Camargue and Provence. Located just steps from the Musée Antique museum, you will also visit other riches of Arles, a city of art and history and a UNESCO World Heritage Site. The ibis Styles Arles Palais des Congrès hotel is ideally located close to the convention center and the Musée Départemental de l'Arles Antique museum. Our welcoming, spacious rooms and 24-hour reception are sure to satisfy your needs and wishes. 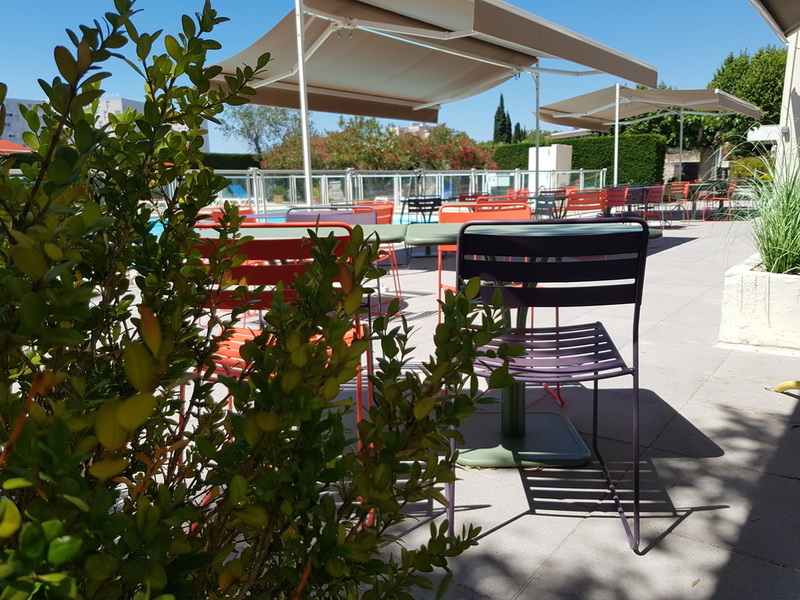 After a day visiting the old town and exploring Arles, unwind in our friendly and welcoming bar or relax on our terrace by the pool. Treat yourself in our restaurant serving local and regional cuisine. Our hotel is located on the outskirts of the Camargue and Provence regions. You can walk from the Arles Amphitheater in just 20 minutes or take the shuttle bus from Musée de l'Arles Antique for just EUR 1. Once there, you will be surrounded by Roman sites, the Fondation Vincent Van Gogh and venues for many festivals, such as Les Rencontres de la Photographies, Les Suds à Arles, Les Escales du Cargo, as well as evenings at the Patio de Camargue, which is only 875 yards (800 m) from the hotel. This is what our ibis Styles rooms are all about! Stay connected to our WIFI while working or drift off into sweet dreams in one of our cozy Sweet Beds! We offer local and regional cuisine that follows the "4 seasons". Located facing the pool with a shaded terrace, you can enjoy pleasant moments there as a family, with friends or for your business meetings. Staff friendly and attentive, room adequate size and comfortable. Location good, short walk to centre of Arles. Good car parking at hotel. I've been twice at this hotel. And each time I slept perfectly in a very clean room, very silent, the personnel was charming. Refurbished but in an out of town location with poor pedestrian links to the centre of Arles. Also strange to find an Ibis Styles and an Ibis Budget using the same reception and lobby with interlinked corridors!! The hotel is located outside Arles in a poor location adjacent to an untidy housing development and an area of wasteland with poor pedestrian access to the centre. This spoilt our stay but was offset by the availability of free secure parking. I also found the juxtaposition of an Ibis Styles and an Ibis Budget odd - served by the same (albeit divided) reception and the bedroom corridors of both hotels being linked. Refurbishment was to a reasonable standard albeit you could have employed a more professional painter! Breakfast was well presented, plentiful and healthy. Minimal contact with staff. We tested our door lock by setting the inside bolt. Our key would still work. We told the person at the front desk who replied &quot;I'll tell my colleague&quot;. No effort to fix, move us or compensate us. We actually barricaded our door with a chair and suitcase. Our VERY first and likely our only Ibis stay. You'll note we cancelled 2 more reservations at other hotels. Nice accommodation, friendly staff, good breakfast, nice location. Some room furnishings a bit impractical (tiny shelves). Very friendly staff ensured that we had a pleasant experience and we would recommend the hotel to others. Staff were friendly and welcomed us on arrival. Room was comfortable and well serviced. Breakfast was very well managed ensuring food was fully available and tables cleaned up promptly. I enjoyed a beer in the lobby in the evenings. The only issue is with the steps at the entrance. The lowest step needs to be repaired because it is not level and will cause a fall. Pleased to be back again! After staying for five nights last month, we looked forward to staying again. Pity it was only for one night! We again found a warm welcome and a comfortable room. Positives : attentive Staff , clean room , very nice breakfast , lovely Pool . Negatives : overworked Staff , a ‘ tired ‘ building lacking expected ‘ Style ‘ , and an extremely poor location for walking / cycling into Arles Centre . Overall not value for money like in previous Ibis Styles where we have stayed . Moreover Ibis Budget seemed to have use of same facilities for a lot less cost .... WHY ? Very nice place, clean and safe. Very good breakfast and amazing swimming pool. The hotel has a big parking lot but it's located to a walking distance from the city center. Good check-in experience overall. The hotel is in need of a facelift/redecoration in some of the public areas. Wasn't that impressed with the entrance (driveway) to the property especially with the &quot;neighbours&quot;!! First time in Ibis Styles Nice room, but when you want to take a shower in the bath, this is impossible. Try taking a shower in room 707. Wrong mounting of the bath. This could cause falling in the bath... When I book an Ibis or Novotel hotel with the app (for me and my daughter), I always get a room with 2 beds. Here this was not the case.